The article I am presenting here is not intended to be the definitive Church teaching on the subject of infallibility, but rather is my own take on the topic in hopes of offering some perspective on why the Church teaches what it does. Article ”Part I” is found here. In the first article, I dealt with some syllogisms about certain assumptions Christians hold and how they point to a need to know what is authentically taught and what is in error when it comes to truths necessary to salvation. I pointed out that we had not yet reached the point of saying we had proven the claims of the Catholic Church but we had an instance where a decree of the Church was considered infallible. In Article IIa, I spoke about some historical fallacies we need to be aware of: not asking a Have you stopped beating your wife yet? 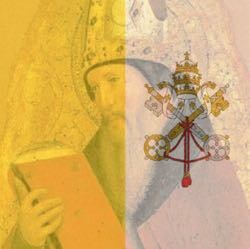 kind of question about Peter and the Papacy but rather asking what the facts were about Peter’s role in the Church. Now in Article IIb, I would like to look at the Bible… but with a caveat to keep in mind. The Bible is inerrant because God says so. God is inerrant because the Bible says so. A person who rejects either premise will not be willing to accept this reasoning. Also because I reject this as an illogical way to express the authority of the Bible, it would be hypocritical of me to use this fallacy when it favors me. Therefore, I want to make clear I am using the Bible, for the purpose of this article, as an account which all orthodox Christians accept as telling us what Jesus said, without invoking the authority of Scripture as a trump card. Thus we will be looking at the Bible to see what Christ taught on certain subjects and look at what necessarily follows from His statements. Remember I am simply intending to look at it in the sense of, “If Jesus said this, what is the significance of it?” What I am not going to do is to get into debates over what Jesus meant (commonly invoked in disputes over interpretation). Now of course we do need to understand the historical context of expressions and the like. However, if one person believes Jesus intended to found a Church and another denies this, the disputes generally turn out to be “argument by proxy” over beliefs and not texts. So in terms of studying Matthew 16:17-19, we need to be aware of understanding what Jesus said before looking at the beliefs about this passage. things known or assumed as facts, making the basis of reasoning. If we understand Christianity to be centered on the person of Jesus Christ, then what He says when He teaches or gives example is considered to be things known as a baseline from which we must seek to understand. To say "Christ got it wrong in this section of the Bible" is to take a position incompatible with Christian belief. In this case, using the Bible as data is not to diminish the text for the Christian. Rather I want to consult Scripture in the sense of looking at what Jesus said and not bringing in arguments of “you are obligated to believe this.” Eventually we may reach this point… but not yet. I would like to remind the reader that there is a problem with appealing to the personal interpretation, which I made reference to in Part I of this series, and that is we have established that since individuals can err, so can personal interpretations of Scripture (See syllogism #6 of Part I in this series). Thus when it comes to an appeal to personal interpretation, we need to see how such Scripture was seen in the past, and not merely how an individual reads it today. With these preliminaries out of the way, we can now move on to the data of Scripture. There is a lot to consider about Peter’s role in Scripture. This particular article (IIb) will look at Christ’s promise to Peter in Matthew 16. In future articles we will look at the rest of the Scriptures on Peter. In the English language, we tend to use “you” to refer to both one person addressed or to a group of people addressed. In other languages, including Greek (the language of the New Testament), there is a form for “you” when speaking to one person (the singular form) and a form for “you” for speaking to many people (the plural form). Unfortunately, many do not make this distinction in the English translations of the Bible, and people uncritically interpret Scripture without considering this difference. Since Matthew 16 does make use of both forms, we need to be aware of this fact. If we try to make an argument based on the ambiguities of “you” in English, it will fall short if it is not supported by the Greek of the Gospels. Peter was not the sole Apostle, and He was not the only Apostle to speak to Christ about things. (Some objections to Catholic beliefs seem to be based on the assumption that we do believe this). However, he is shown to have a prominent role in the Gospels. While sometimes he is maligned for “not getting it” he was a man of great faith (remember the other eleven apostles never even got out of the boat). In considering Scripture, we need to avoid the Argument from Silence fallacy which claims that because nothing is said on a topic it “proves” the validity/invalidity of the claim. Silence merely means nothing was said one way or another. What we are doing here is to study the words of Scripture, and what logically follows from what Christ said. In studying the relationship of Christ and Peter, first I would like to do a brief breakdown of the different relationships of people interested in Jesus and following Him. I am excluding those who were hostile to Him in this case. First, we have the crowds who followed Jesus. The word for the crowds is ὄχλος (ochlos), which has the sense of the undisciplined masses or mobs. They were following out of curiosity or need out of their own volition. These were the people who wanted to hear about a political messiah who would overthrow the Romans and bring in a reign of prosperity for all. We could say they followed Jesus with an expectation. They were excited by miracles, but did not understand what He taught. They were fickle. Some of those who were calling out Hosannas on Palm Sunday were yelling “Crucify him!” on Good Friday. Jesus had certain people follow Him as His disciples. The Greek word used in Scripture is μᾰθητής (mathētēs), which generally has the meaning of students/pupils of a teacher. In Greek, this had often been used for students of a philosopher or a doctor. While Christians believe that Jesus was more than a mere teacher, the fact is that the disciples followed Him in a different relationship than that of the crowd. They believed he was teaching truth, and they sought to learn from Him. This group could contain outcasts like tax collectors, and was not limited to men of certain education or social classes. Women too could be disciples of Jesus. This would have been a great change from the society which considered only men could be disciples. Some of them did separate themselves from Him, such as John Chapter 6. It is noted that there were two circles of Jesus disciples: The Twelve and the Disciples. The Twelve are often called the Apostles (ἀπόστολος), which means messenger, envoy or ambassador and has a literal sense of one who is sent forth. They were the ones who were closest to Jesus. They were the ones who stayed when the others left Him in John 6. They were present with Jesus at the Last Supper. Jesus chose the Twelve to be with him, and to them He gave the teachings of the Kingdom of God. This is where non Catholics will begin to disagree with me, and that is Peter's special calling among the twelve. The most commonly cited one is Matthew 16 of course, and this will be the thrust of this article. However it is not the only passage of authority (certain people who claim Catholics solely base their views on Matt 16:18-19 are incorrect). Throughout the Gospels we see that Peter is always given a prominent place. He is always there for the special events in Christ's life. Jesus' miraculous arranging of the paying of the temple tax shows that Peter's association is close to Christ. It is to Peter alone that Jesus addresses these promises (though in Matthew 18:18, Jesus seems to grant some of them to the Apostles collectively). In the Greek, Jesus addresses Peter with the singular "you" in these cases. Most significant is the promise to build the Church on Peter and to give him the keys of the kingdom. ﻿17﻿ Jesus said to him in reply, “Blessed are you, Simon son of Jonah. For flesh and blood has not revealed this to you, but my heavenly Father. ﻿The sequence is rather interesting. While the others could tell Jesus who others said He was supposed to be, it was Peter who had revealed to Him the true answer of who Jesus actually is. Jesus tells Peter he is blessed because God the Father has revealed it to him. 18 Κἀγὼ δέ σοι λέγω, ὅτι σὺ εἶ Πέτρος, καὶ ἐπὶ ταύτῃ τῇ πέτρᾳ οἰκοδομήσω μου τὴν ἐκκλησίαν, καὶ πύλαι ᾍδου οὐ κατισχύσουσιν αὐτῆς. Let's break this up into sections. "I to You (second person singular) say that you (second person singular)…"
In other words, he is not speaking to the apostles in general. "…are Peter/Rock (petros) and (supported) on this (this same) the Rock (petra)…"
What is interesting is the meaning of ταύτῃ (tautē feminine dative demonstrative singular pronoun) is the "this" can also hold a meaning of "the same" and as a pronoun with two objects, tautē, usually refers to the object mentioned before, not the one that comes after. It only refers to what comes after when there are not two objects. Essentially, the Gospel of Matthew makes use of Petros to refer to Peter and petra second simply because that is proper Greek in trying to translate an Aramaic concept. Because Jesus was referring to Peter, and Peter was male, the Greek requires the masculine form Petros. Also, since Peter's statement of faith is not even present in this sentence it cannot refer to this. "I will build/found/establish of me the assembly duly summoned"
Some have tried to make use of an argument that ecclesia doesn't mean Church. The problem is, this word is used in the LXX for the assembly of Israel and in the New Testament for the Church in places like 1 Cor. 11:22 and Romans 16:5. It should be noted at this point that the form ekklēsian used here is singular. Church, not churches. It is also only found twice in the New Testament, and both times used in the sense of the body established by Christ. The gates of Hell/death will not prevail against His Church. Verse 19 gives evidence that it is Peter, and not his profession, is the rock, when we see Christ says to Peter singularly, He will give Peter the keys to the Kingdom, which is to be understood as the authority to rule. To Peter singularly, Jesus gives the power to bind and to loose and that which he binds and looses on Earth will be held bound (this can mean both to be chained and to be bound together like a husband and wife) or loosed (to set free, be released) in Heaven. Now remembering that this began because Jesus said Peter was personally blessed because God the Father had revealed this to Peter, we can see how personal a promise this is. ﻿21﻿ I will clothe him with your robe, and gird him with your sash, and give over to him your authority. He shall be a father to the inhabitants of Jerusalem, and to the house of Judah. ﻿22﻿ I will place the key of the House of David on his shoulder; when he opens, no one shall shut, when he shuts, no one shall open. ﻿24﻿ On him shall hang all the glory of his family: descendants and offspring, all the little dishes, from bowls to jugs. The keys, given to the steward meant he was given authority over the royal palace. That’s an interesting parallel in regards to Peter being given the keys to the entire Kingdom, which Jesus equates with His Church. Like a steward, Peter’s role exists until Christ returns at the Second Coming. In light of Article IIa, I think we need a slight detour here. There are some who claim that the "rock" was referring to Peter's confession of faith. In doing so, they attempt to draw out the difference between petra and petros. Because there is a distinction in Greek between the two words (though it is not as great as some claim, the two could be and often were used interchangeably), some try to say this means the rock was not Peter. This claim is usually accompanied by an a priori assumption that Peter could not be the Rock, therefore it must have a different meaning. If, for example, you read Matthew Henry’s commentary on these verses (I cited it in IIa), you will see his entire commentary on this passage is based on the denial of the Catholic claim and seeking an alternative meaning. Historian David Hackett Fischer calls this the fallacy of fictional questions where one tries to find an alternate explanation. This fallacy turns a “what if” question into an “it is” assumption. However, a “what if” cannot become a “it is” without evidence for the claim. There are a few problems here which we need to be aware of and I list here. Jesus and the Apostles spoke Aramaic, not Greek. So when we see the writings of the Gospels we need to remember that Jesus was not speaking Greek… or English. Petros, Petra and Cephas/Kêpa were not names at this time, so for Jesus to name Simon "Peter" was significant. When God changes a name (Abram to Abraham, Jacob to Israel etc. ), it is done only when a significant promise is made. To Abraham and to Jacob, it concerned the promise of a nation. To Peter it concerned the promise of a the Kingdom. When we recognize these facts, the argument that says the rock was not Peter fails to prove its point. Now, at this time I am not going to say “See! This proves Peter was infallible.” We will eventually get to this point, but at this time we merely need to consider the ramifications of Jesus’ promise. So if Jesus, as inerrant God, has made this promise to bind and loose in Heaven what Peter binds and looses on Earth, then He must either bind and loose error; or else He must at least protect Peter from declaring error bound or loosed when it pertains to matters of salvation. We haven’t yet fully demonstrated a claim of infallibility. However, if we recognize that Jesus was inerrant and made this promise, we need to recognize that with these promises need to be backed up by something. We have not finished the discussion of Peter yet (Hence the IIb in the title). Matthew 16:17-19 is not the extent of the Catholic understanding of infallibility. However, because it is the lengthiest one in terms of potential misconceptions we did need to look into the significance of the promise Jesus made to Peter. Nor have we merely equated the Church with Peter. We also need to look at the promises and commands Jesus made in relation to the Church itself. Some readers may object that I have ignored the rebuke of Jesus which comes after this promise. This is not the case. Rather I will deal with this in a future article (the brief answer would be, Jesus seems to be rebuking Peter’s misunderstanding of the mission of the Messiah, and not withdrawing anything). At this time, we need to consider syllogisms 1-8, recognizing that God cannot err, but personal interpretation can because human beings are fallible. Yet Jesus makes a promise to Peter which only makes sense if God will protect Peter from error. Article IIc will continue looking at what Christ and the New Testament has said on Peter. Depending on length, discussion of the Church itself will be a part of IIc or else a Part IId may be necessary.